A large new book by photographer Arjan Bronkhorst. The book - with texts by authors Willemijn Zwikstra, Marc van den Eerenbeemt and Ida van Zijl - tells the story about architect Gerrit Rietveld and his relation with his clients. What is the influence of these clients on his designs, and how do people live in a Rietveldhome? 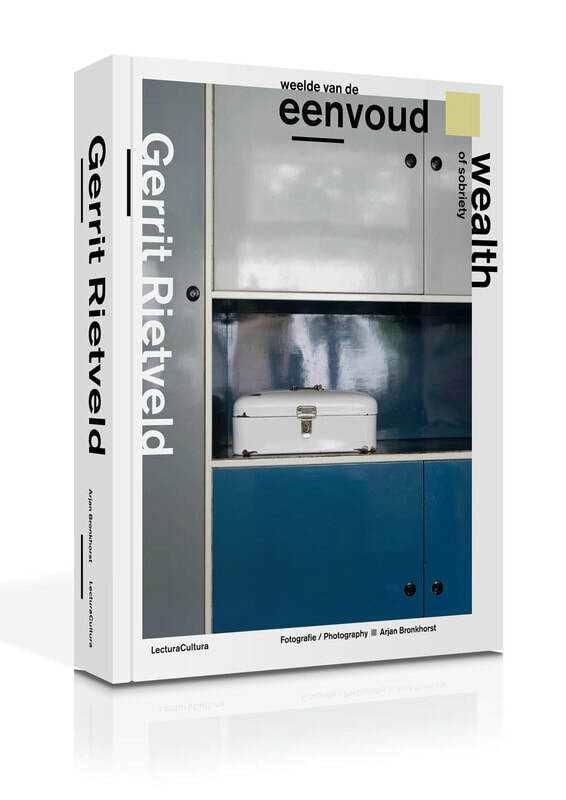 In over 500 pages and almost 400 photos a selection of 20 houses and interiors by Gerrit Rietveld are shown extensively. 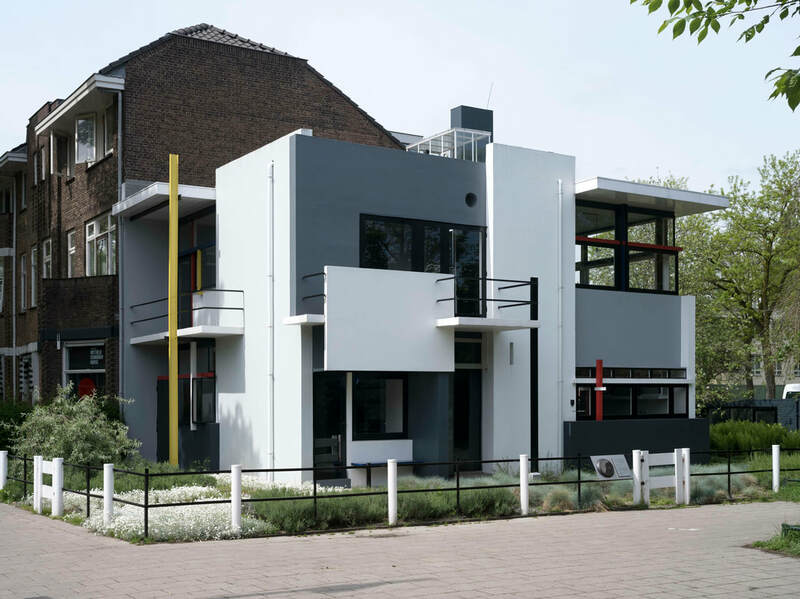 Gerrit Rietveld (1888-1964) is one the most renowned Dutch architects ever. 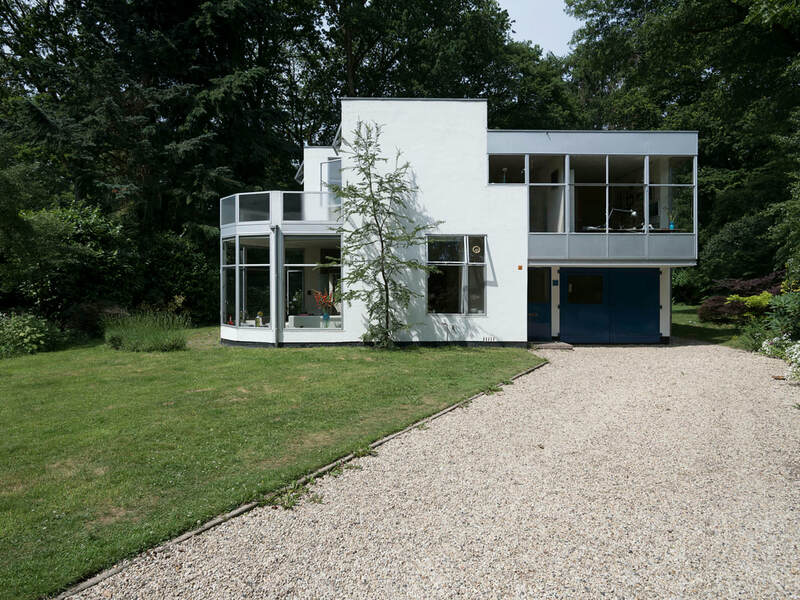 His Schröder House from 1924 in Utrecht is world-famous and features on UNESCO’s list of world heritage sites. Yet little is known about his almost 100 other houses. Most of his houses express the principles of the Nieuwe Bouwen movement: design based on functionality, without unnecessary embellishments. 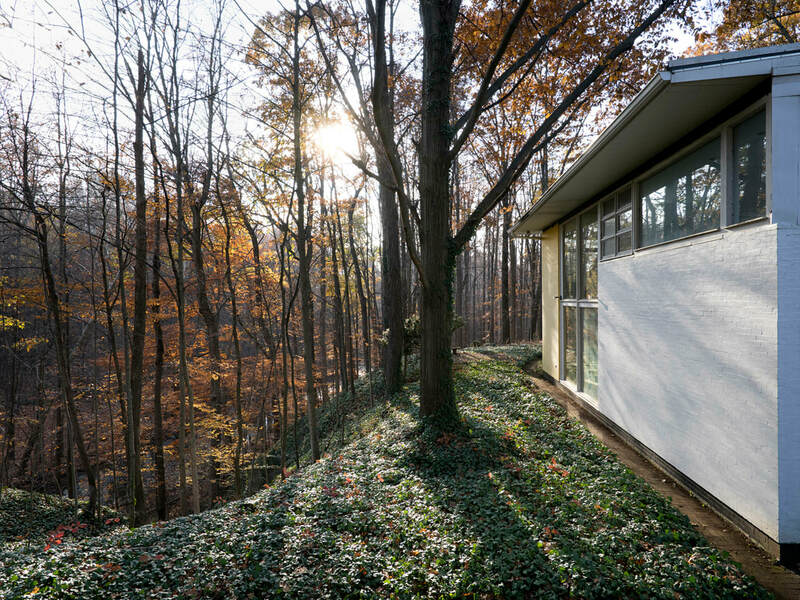 Only a limited number of clients could deal with this ‘wealth of sobriety’ and had the courage to invite Rietveld to design an avant-garde house for them. His clients were for the most part members of the intellectual class: artists, designers, musicians, doctors, professors. Even though his heart lay in social housing, his body of work consists largely of private villas. Rietveld himself lived rather frugally and ‘enjoyed’ discovering through commissions for private clients ‘how a person should live’. 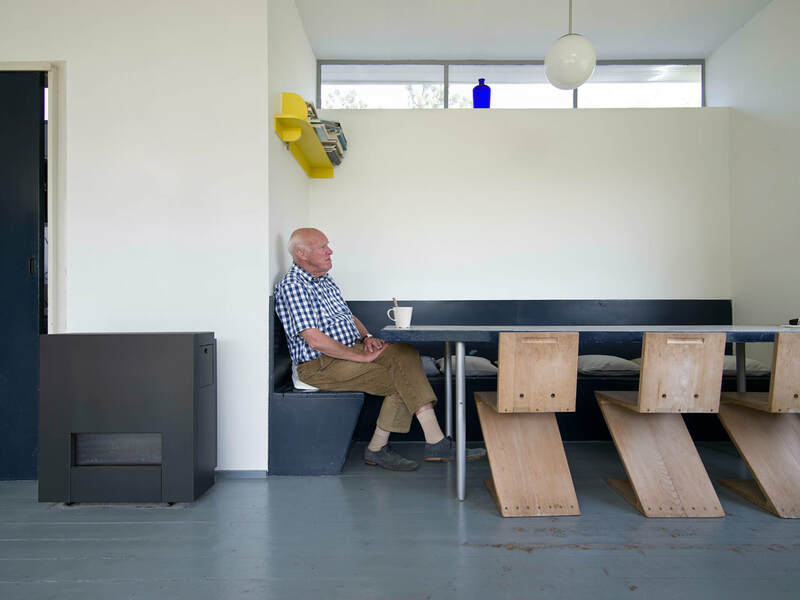 The photographs in the book show surprisingly intact Rietveld houses. Some interiors have hardly changed in half a century. This is both striking and encouraging. For almost every new owner makes some alterations to a newly acquired house, with the bathroom and kitchen often most at risk. At the same time, we should acknowledge that this book contains only a limited selection of houses that are still in good condition. Of the hundred houses built by Rietveld, by far the majority have been altered. Some are so unrecognizable that one can no longer justifiably refer to them as Rietveld houses. 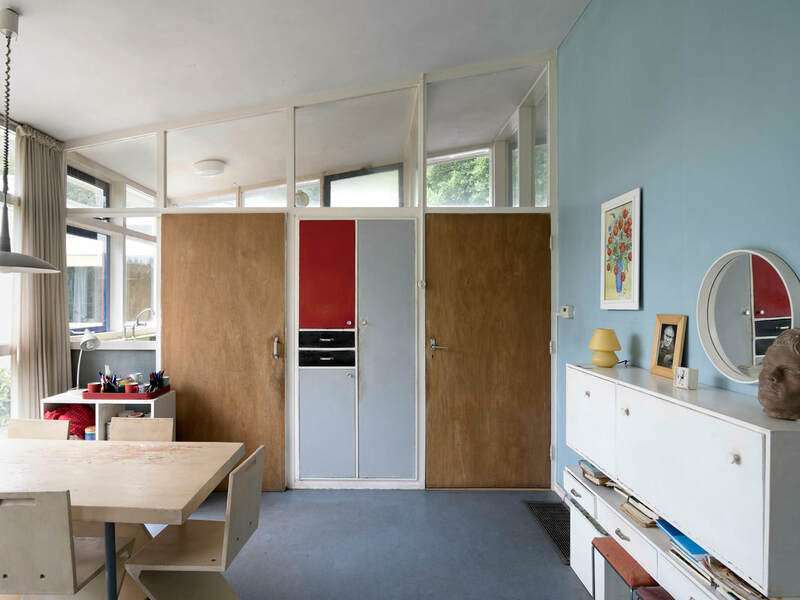 ​Containing more than 500 pages and almost 400 photographs, the book extensively documents 20 houses by Gerrit Rietveld. To produce the book and document the houses, Bronkhorst worked together with a team of ten people. He also collaborated with the Rietveld family. The design of the book by Dutch design studio Beukers Scholma reflects the ideas of Gerrit Rietveld. The book is entirely bi-lingual in Dutch/English. Arjan Bronkhorst (1972) is a Dutch photographer. In 2013 he published the celebrated book Amsterdam Canal Houses (Grachtenhuizen), the first print run of which sold out within a month. The photos in this book show the stunning interiors of Amsterdam’s city palaces, built in the 17th century, Holland’s Golden Age. The book received rave reviews, with the Volkskrant newspaper selecting it as one of the best photography books of the year. The Amsterdam Museum exhibited the photographs. The book has already been reprinted four times. In 2016 Bronkhorst released the bulky volume Kerkinterieurs in Nederland (‘Church interiors of the Netherlands’), for which he photographed 100 Dutch churches for Museum Catharijne Convent and the Dutch Cultural Heritage Agency. ​The book was made possible thanks to the Creative Industries Fund NL, the K.F. Hein Fund, the Fentener van Vlissingen Fund and the foundation G.Th. Rietveld.